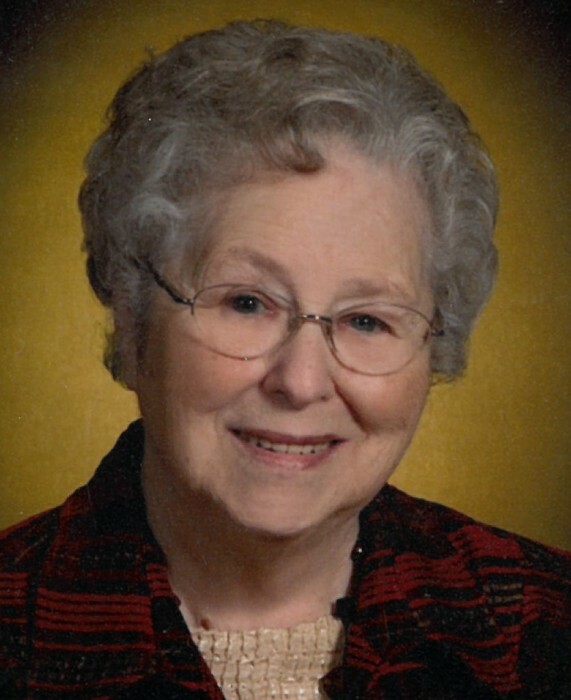 De Etta I. Hemesath, 92, of Ridgeway, Iowa died Saturday, April 6, 2019, at Barthell Eastern Star Home in Decorah, IA. A Mass of Christian Burial will be held at Notre Dame Catholic Church on Thursday, April 11, 2019, at 11:00 a.m. with Father Dennis Cain officiating. Burial will be in Calvary Cemetery. Visitation will be held Wednesday, April 10, 2019, from 4-7 p.m. at Hindt-Hudek Funeral Home in Cresco with rosary recited at 3:30 p.m, and will continue at the church for one hour prior to the service on Thursday. De Etta Ida Huinker was born near Festina, IA, on July 17, 1926, the daughter of Edmund S. and Mathilda J. (Pitzenberger) Huinker. She graduated from Calmar High School. After graduating De Etta worked for a lawyer in Decorah, then shortly before marriage cleaned house for a priest in Gilberville, IA. On May 20, 1947, she was united in marriage to Alphonse “Al” Hemesath at St. Aloysius Catholic Church in Calmar, IA. Following their marriage they farmed northwest of Cresco on three different farms for eight years before purchasing their home farm three miles west of Ridgeway in Lincoln Township. In 1985, they moved to a farm in Bluffton Township where they discontinued milking and raised beef cattle. Because of Al’s health they retired in December of 1999. De Etta was a true farmer’s wife. She helped Al on the farm by carrying buckets of milk and washing the milkers. She planted a large vegetable garden that provided for her family. She liked canning, cooking, and baking. Fresh bread with homemade strawberry jam and kolaches were a treat waiting for her children when they came home from school. De Etta was a talented seamstress, often making clothes for her children. She also enjoyed weaving rugs on a loom and quilting. De Etta donated several quilts for Norman Borlaug Harvest Fest Quilt Auction. De Etta was a member of St. Joseph’s Catholic Church. She was involved in parish life by volunteering her time as a 7th grade CCD leader and was a rosary society member. De Etta is survived by her children; Mary Jeanne Hemesath of West St. Paul, MN, Marcia (Tom) Grimm of Prairie City, IA, Maxine (Cletus) Humpal of Ridgeway, IA, Mark (Carolyn) Hemesath of Ridgeway, IA, Donna (Don) Baumler of West Union, IA, and Matthew (Mary) Hemesath of Ridgeway, IA; 14 grandchildren Jeff (Melissa) Grimm of Johnston, IA, Jason (Kristi) Grimm of Palo, IA, Jennifer (Bevan) Everett of Colfax, IA, Sara (Dennis) Bakula of Windsor, CO, Amy (Cole) Humpal-Hoscheit, DVM of Caledonia, MN, Michael Hemesath of Cresco, IA, Travis (Katelyn) Hemesath of Manchester, IA, Karla Baumler of Chicago, IL, Kurt (Kelli) Baumler of West Union, IA, Kristin (Ryan) Oberbroeckling of Garnavillo, IA, Dalton Hemesath of Ridgeway, IA, Braden Hemesath of Ridgeway, IA, Randy Hageman of Burlington, IA, and Russell Hageman of Decorah, IA; 11 great grandchildren; her sister Gladys Elsbernd of Decorah, IA; brother Dennis Huinker of Calmar, IA; sisters-in-law Dorothy Huinker of Garner, IA, Martha Huinker of Ames, IA; Deann Hemesath of Ossian, IA; and brother-in-law Henry (Marilyn) Hemesath of Monona, IA. She was preceded in death by her parents; husband Alphonse “Al” in 2001; her sister Leona (James) Watt, brothers Alvin Huinker, Paul (Georgina) Huinker, and Dave Huinker; sisters-in-law Elberta Huinker Doris Huber and Georgina Huinker; brothers-in-law Roger Elsbernd, Elmer Hemesath, Arthur Hemesath, Joseph Hemesath and James Watt.